[T]here is an inherent sense of foreboding and unease layered throughout the new sophomore release titled Swimmin’ Time from Charleston, South Carolina duo Shovels & Rope, which is almost a complete 180 from the uplifting merriment found in the pair’s first album released under the moniker Shovels & Rope, 2012’s O’ Be Joyful. It’s as though our favorite southern charmers, Michael Trent and Cary Ann Hearst, took a peek through the curtain of popularity that was opening wider for the singer-songwriters and were slightly taken aback by the response of the ever-growing crowd. Now, don’t read that opening paragraph as a condemnation on the more introspective outlook the new Shovels & Rope album brings to the (turn)table. I am crazy about this record and have been listening pretty much non-stop since it arrived at Music Savage, however with each push of the play button I can’t help but wonder what the catalyst was for creating this musical shift in gears. There are quite a few heavy topics Hearst and Trent wade through throughout Swimmin’ Time, most notably (as the title suggests) the songs focus on the power of water and the struggle to move forward through fluctuating tides, or to pick oneself up and dry off after the storm subsides. Whether it’s the plea for guidance and hope found in the beautiful song, “After the Storm,” the impassioned call of the album’s title track to swim or drown as the ocean waves pull you away from shore, or the true story of “Thresher,” a submarine lost at sea in 1963 with 129 souls on board, the main theme here is the struggle. The struggle of ol’ fashioned good versus evil is also explored. The album’s stellar opening track, “The Devil Is All Around,” focuses on finding salvation and turning against temptation. With the glory of a church organ, and the almighty power of a kick-drum, the song perfectly sets the fight or flight tone of the album. You also find the theme in the 50’s inspired numbers as well. The Doo Wop style of “Coping Mechanism” looks for answers away from the obvious inebriants, and my favorite track, the rockabilly, “Mary Anne & One Eyed Dan,” delves into the topic of redemption through love. While the emphasis of Swimmin’ Time is on the trials and tribulations of a life in the spotlight, I think the message is pretty clear. The road (or river) may be tough going but if you keep your chin up, and swim against the current, eventually you will find your way back to shore. As with most sequels the storyline cautiously dives into the heart of the conflict with the determination to rise above and conquer. 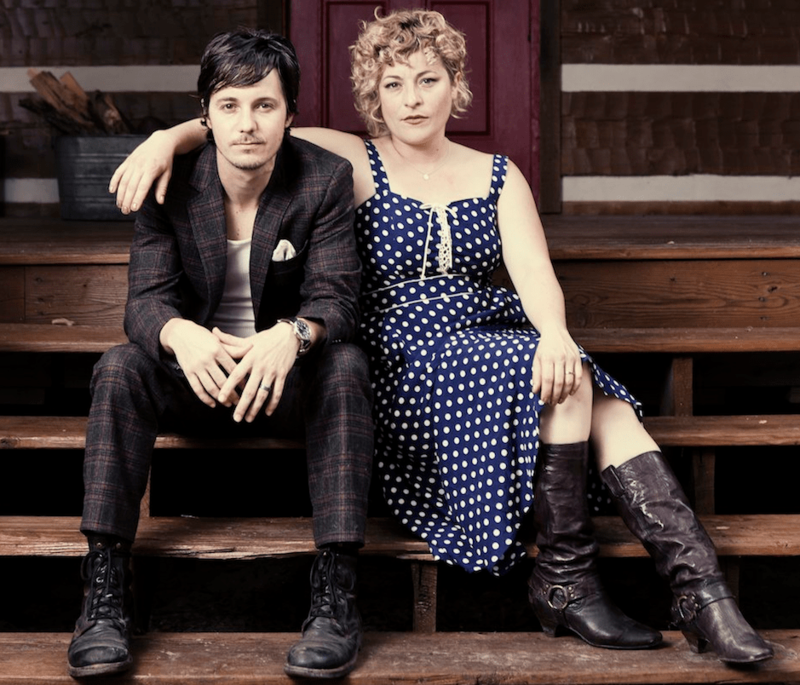 Shovels & Rope have created the Empire Strikes Back to their Star Wars, the Superman II to their Superman: The Movie. We all know the heroes win in the end!